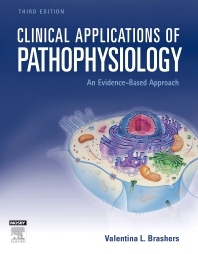 This practice-focused review guide and workbook covers 27 of the most commonly encountered health problems to outline the connections between pathophysiology, assessment, diagnosis, and management, with an emphasis on the clinical use of pathophysiologic concepts. Each chapter includes case studies to illustrate the application of pathophysiology principles to clinical situations with questions relating to patient history, physical examination findings, lab and diagnostic studies, therapies, and follow-up care. Each question is designed to promote clinical reasoning and a deeper understanding through application of the concepts presented. Information on differential diagnosis is included. Consistent presentation of each disease includes definition, epidemiology, pathophysiology, patient presentation (history, symptoms, and examination), differential diagnosis, keys to assessment, and keys to management. Algorithms are used to illustrate the sequential action of disease processes. Unique! Clinical link diagrams for each disorder clearly illustrate how pathophysiologic concepts play a role in patient care. Unique! Critical thinking questions in a fill-in-the-blank format in included for every case study to promote continual clinical reasoning based on the available data. Case studies give students the history, physical examination, lab and diagnostic test results, and course of treatment for a hypothetical patient. Up-to-date bibliographies provide reading lists of the most important and current research published on each disease. Perforated pages allow students to fill out the answer spaces in the case studies and turn them in to their instructors for evaluation. Suggested answers with rationales to case study questions are available to instructors who require the book, to facilitate the use of the cases as class assignments.